‘Deceptively simple yet utterly sophisticated … the objects of my desire are made by the furniture designer Petter Southall, who opened Sladers Yard with his wife, Anna Powell, in 2006 as a showroom for his work and also a space to exhibit and sell the output of other local artists and craftspeople. The result is an atmospheric gallery… Visit this wonderful place.’ Financial Times, How To Spend It, August 2012. Read the rest of the article here. 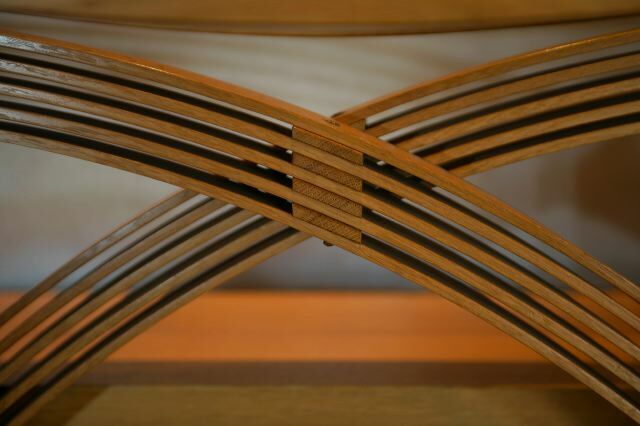 Petter Southall has been designing and making his distinctive furniture at his studio, i tre furniture, since 1991. He has made hundreds of private commissions from dining rooms to desks to bedrooms and outdoor seating. His furniture is in public spaces and working environments as well as hospitals and churches. An unusually gifted designer, he is also an uncompromising craftsman with an eye for detail and proportion that is second to none. He came to furniture making from a background of building traditional wooden boats in his native Norway. 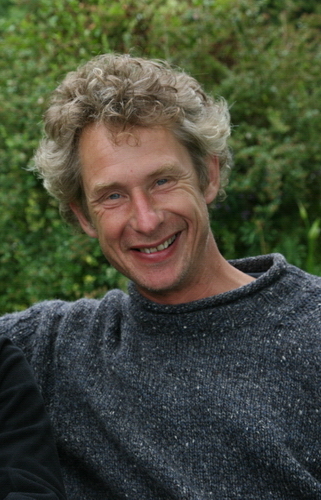 His work combines boatbuilding techniques such as steam bending and fixing with copper rivets with cabinet making. He often works in solid timber, finishing his work with natural oils and tactile finishes. He avoids the use of glues and composites as much as possible, in order both to increase its longevity and to ensure his work is really healthy to live with. It does in fact enhance life, as so many of Petter’s customers and visitors to Sladers Yard have noticed. I recently visited Sladers Yard and was very impressed by your furniture, in particular the “twisted” mirror and was wondering if you would consider a commission to make a similar one but in a smaller scale to fit in a cottage I have recently bought in Brudport?